We always learn in sales training, “People only buy for two reasons… pain or gain.” The buyer either has pain your product or service can relieve, or your product or service will enable them to grow their business, make more profit, hence, gain. However, this concept is what makes human resource strategies tough for everyone. Almost every business needs some form of HR. For a business owner, his or her employees are the biggest asset and the biggest liability. Having employees is expensive. In today’s environment it has become imperative to have a good human resource strategy. How well one takes care of his or her valued employees will directly impact the success of the business. Now we go back to the ROI. To have a successful HR strategy takes an investment of time, money, and commitment to do things the right way. The good thing is there are options! Implementing an entire HR department or hiring an expensive HR director is not the answer for every company. Fractional HR– Depending on your needs, a fractional HR professional can be a great solution for some companies. They are especially good with developing culture and doing very specific HR training. In general, this is not a good fit for the day to day HR functions like payroll, employee benefits administration, and compliance. Payroll company– Over the past few years several payroll companies have added HR services to what they offer to a client. For very basic HR, this might be a good alternative, but if you are looking for more robust offerings, this might not be your best option. HR technology– Over the past few years, there has been an on slot of new technology companies entering the market. While the technology is great, sometimes the service is lacking. If you want to develop your own HR department, but need a technology platform, these companies are great for reporting, online enrollment, and having everything in the cloud. Professional Employer Organization (PEO)- The best way to explain a PEO is that it is somewhat a combination of the first three, plus some added features. PEOs provide a certified HR professional (or HR Attorney) as client needs arise. They can help with some of the most complex HR issues all the way down to the simplest. 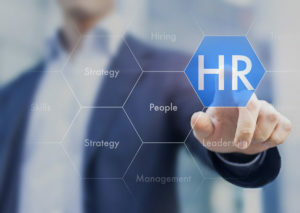 While not all PEOs are equal, there are a great many of them that offer the top of the line HR technology and of course they provide payroll as a core service. PEOs also offer some additional services. Things like a master health plan, that can help insulate a company from the rising cost of health insurance, a much needed product like EPLI (Employer Practices Liability Insurance) and a 401(k) retirement plan at vey low cost. One PEO describes its service as “An entire HR department for about the same cost as hiring another employee”. So what works best for you? There are several options, but doing nothing shouldn’t be one of them. You have invested your blood, sweat, and tears into your business. Make sure you protect your business by developing an HR strategy. The ROI will be worth it. If you would like to discuss your options, call 469-218-0073 or email me at steve@ocihr.com. Covering The Masses: Exploring Benefit Models Of The FutureWhy Choose A Professional Employer Organization (PEO)?